Duplicate records in the database reduce data processing performance leading to inaccurate search and potential problems with keeping the integrity of the relational database. Of course, this is just a sample database file. In a real DBF file, there could be dozens of duplicates, and they will not be as easy to find among thousands of records. Here, you should select fields you want DBF Viewer 2000 to take into account when it determines if a record is a duplicate or not. By default, all fields are selected. 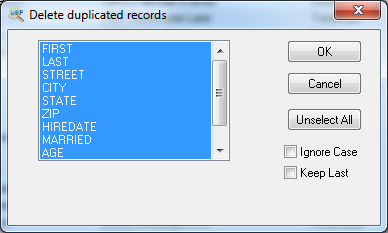 This means records are duplicated only if all of their fields are the same. 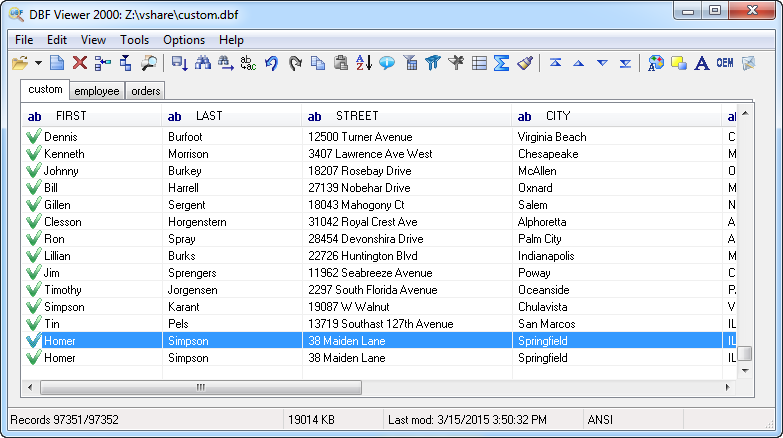 However, if you want, you can select certain fields here and DBF Viewer 2000 will delete all records that have the same value of these fields except one. There are two options here. 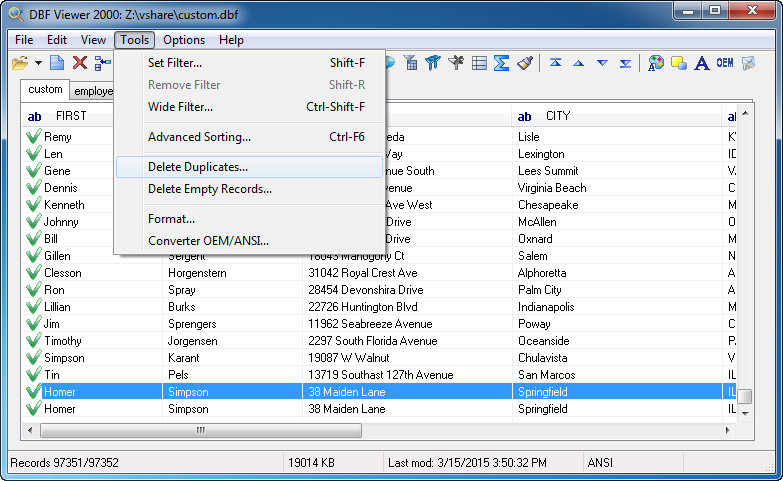 The Ignore Case option tells DBF Viewer 2000 to ignore character case of record values. The Keep Last option overrides the default behavior of the tool to make it keep the last added record in the database (and remove all other duplicates) instead of the first one.